Williams Pianos is certainly one of the lesser-known producers of musical products that we have in the industry. Almost every time their name has come up in musical circles of mine, there is always at least one quizzical look that accompanies the mention of the company. Not being the most famous or most known is not always a bad thing, however. Sometimes being smaller allows you to build a more committed, personal customer base that is the foundation for a larger and reputable company. And that’s exactly what Williams Pianos is striving to do, and they’re doing a pretty wonderful job at it. The Williams Rhapsody is just another wonderful addition to the great line of pianos they currently have to offer. Some of the of the other products they have are the Williams Allegro, the Williams Overture, and the Symphony. One of the best attributes Williams Pianos have going for them is the significant price difference between their products and other well known music product manufacturers. Do not be alarmed by this, however, because you are still going to get a quality product. And lastly, before we dive into all the features of this piano, we’ve added a table below to help you best compare the Rhapsody to other similar pianos, such as the Williams Allegro and the Williams Overture. 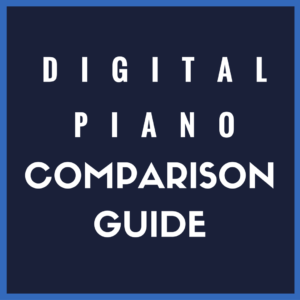 You can compare each piano based on price, key amount, weight and more. The design of the Williams Rhapsody is certainly up to par with the rest of the digital pianos you found on the market today. It has a classical and elegant black wood finish that is easy on the eyes. And while it has the build of an upright digital piano, it’s not too big or clunky when it comes to getting it set up in your home. In fact, I’d argue that it’s almost the perfect type of machine to fit in any home decor or entertainment environment. Beyond size, a dependable music rest sits atop this piano ready for use, along with a two pedal damper system at the bottom. I would have liked to see a standard three pedal system here, but I guess two is better than one or none. The interface of the piano is sleek and easy to understand, with minimal buttons such as not to confuse or overwhelm the piano player. Also, one of the best things about this model is the wonderful assembly instructions. Sometimes, putting together the piano can be the worst part of the purchase, along with the frustration that comes with it. The Rhapsody, however, is easy to put together and the simple instructions along with helpful diagrams should make the process as easy as can be. And don’t forget, you’ll of course get the owner’s manual with your purchase, as well. The Williams Rhapsody also lives up to industry standards when it comes to the tones and rhythms housed on the machine. The Rhapsody adds two sounds to the standard 10 voices that comes with most upright pianos, and these are very well put together and sound great. The entire collection consists of a Grand Piano, Electric Piano 1 & 2, a Church Organ, Rock Organ, Strings, Vibraphone, Guitar, Bright Piano, Bass, Harpsichord, and a Choir voice to finish it all off. For the price and everything that comes with it, this a nice collection of sounds. I found myself pulled mostly towards the versatility of the harpsichord and the guitar voices, as they sounded clear and full. The Rhapsody also comes with a demo song for every voice on the machine, so all you have to do is press the demo button and the corresponding sound. These songs will give you a wonderful demonstration of the best way to really use the sounds, and a feel for how to practice with each instrument. After playing around with the sounds I really came to like the Chopin Valse Op. 69, which corresponded to the Grand Piano sound, along with the Fur Elise: Ragtime Edition, which corresponded with the second piano voice. 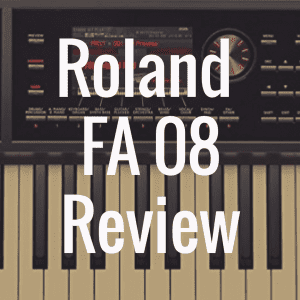 When talking about the engineering, touch and other aspects special to the Williams Rhapsody, it is a good idea to go ahead and be transparent by saying that you shouldn’t come to expect some of the serious hardware you might find on a Yamaha or a Casio. However, this should not be a reason to discourage you from buying a Williams. It is to be expected. Why? Well, because there is no way you are going to pay a lesser price and expect to find the same level of technology built into your instrument of choice. 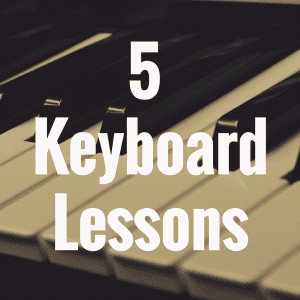 I say all of this to simply say that different people need different things, and sometimes piano players do not need all the bells and whistles they receive when they buy more expensive digital pianos. The Williams Rhapsody does not have a serious key action system such as the Graded Hammer 3 series or the PHA series. It is a full-length 88-key piano, so there should not be any complaints from the classical pianist looking for a full range. 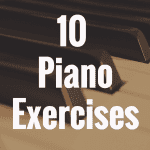 The keys are weighted, meaning that you will feel something heavier than you would a simplistic piano or toy piano. The keys are also velocity sensitive, so the keys will be working hand in hand with the tone generation system to produce the best samples possible. 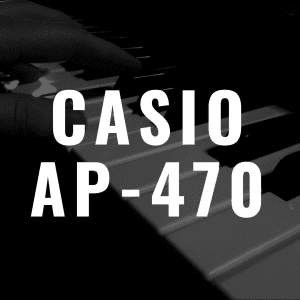 The Williams Rhapsody has many of the standard features you would find on any piano, and this is something that certainly works in its favor when trying to appeal to the beginner (or someone who simply doesn’t want or need an ensemble digital piano). The machine comes with a built in metronome, which is a wonderful tool to practice with to help you learn the time and rhythm and pacing of the music and notes. This tempo is adjustable and works to fit with any piece you may be struggling with. The piano also comes with a feature to split the range of keys into different instruments, so here you can take advantage of the added Bass voice and put that in your left hand, while playing a more traditional piano sound or even a harpsichord in the right. Along with the split feature is a layer feature that allows you to put another lighter voice like Strings over a piano sound or another sound of your choosing. There is also a two-track recorder, a welcome addition and standard feature for most digital and upright pianos. The USB MIDI connection will allow you to connect to a computer or iPad, making it easy to record into external studio features such as recording software. It is always a wonderful idea to compare a Williams digital piano to that of another in its class or of similar status. And when making a comparison to the Rhapsody, you can always start with other Williams models such as the Overture or the Allegro. The Overture and the Rhapsody are both similar in that they are built as upright pianos with cabinets and a sturdy structure. However, the first thing that sticks out is that the Overture comes with full size hammer action weighted keys, along with touch response. That is certainly a huge upgrade over the key action of the Rhapsody. Also the Overture has 3 extra voices, 128 additional GM voices (with USB connectivity), built in amplified speakers, an extra headphone jack, and around 50 plus extra practice songs. The Williams Allegro on the other hand is not an upright piano, but it also has the upside over the Rhapsody in that it, too, has a full range hammer action key system. The Allegro only comes with 8 tones, but contains many of the same features such as the metronome, two-track recorder system, and the MIDI in/out connection. As mentioned before, one of the best things about the Williams Rhapsody is the price. This is where the other companies are not going to be able to compare or compete. The piano has a list price of $800, but you can find it online for about $500. 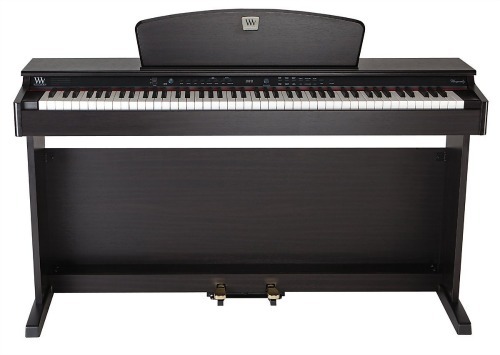 For a piano with all of the features that it has, you will be hard pressed to find a lower price. 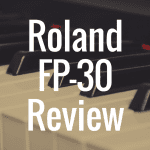 Still looking for the best digital piano on the market today? 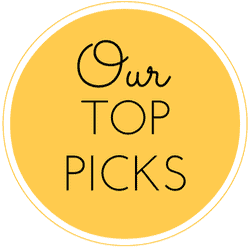 Be sure to bookmark our website so you can stay up to date on all the top instruments! 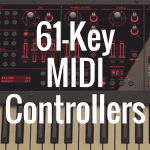 What’s the Best 61-Key MIDI Controller?